A bit of diversion from my more common theme of posting one or a few photos with a short description on this morning before a holiday weekend. 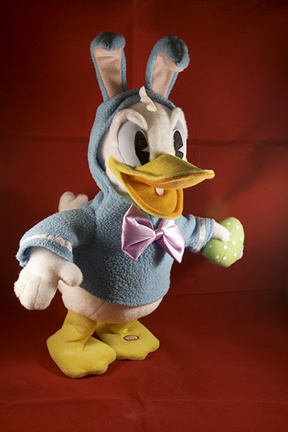 Yesterday morning I posted the image below of a Donald Duck stuffed animal. 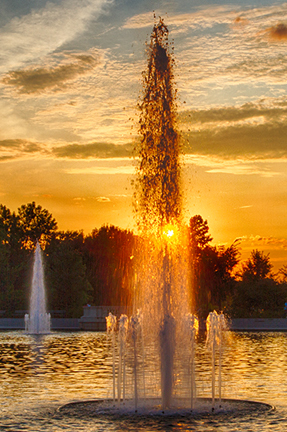 The posted image was cropped to a standard 2 X 3 vertical format. On this site the photo displayed with no problems – a bit squished down in the thumbnail, but accurately displayed either by going to “Read more…” or by simply clicking on the image. But when the post was shared on Facebook (I use the NextScripts plug-in to automatically share posts here on my Facebook page), the image was cropped to fit their format. On my computer, their cropping simply chopped of the top and bottom of the image equally. On another device, the image was cropped fully from the top. In both cases, the full image could be viewed by following a link back to here or, again, by clicking on the image. While cropping to a standard format within an application seems reasonable, it presents challenges to both the photographer who wants to post images to the web and also to the viewer, particularly the novice viewer, who simply wants to quickly view the image. Deciding how to crop an image is further complicated because few, if any, web sites offer information on how they want photos sized – more commonly they simply define file type (usually jpg). A few days ago I read a post from another photographer who indicated that he was changing from the more common 2 X 3 or 4 X 5 formats to 16 X 9. While this seems reasonable for most horizontal subjects, it would result in even more cropping of a vertical image like Donald Duck. I’m not sure what the solution is for those of us who post to multiple locations or if the problem is even significant to most users. I think for now I will continue cropping to whatever format seems most appropriate for the subject and hope for the best. If anyone has a better idea please feel free to share. 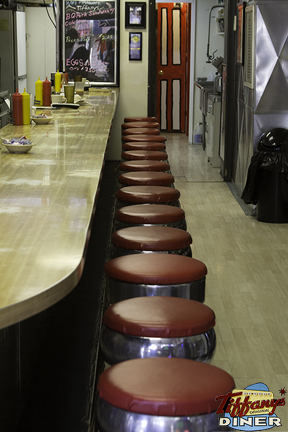 On another subject, Connie and I are working on a project with a local diner, Tiffany’s, in Maplewood, MO. The project involves printing and selling some custom notecards featuring scenes from the diner and helping them write a small history book about the diner. The project is just starting but we hope to have the cards available in the diner in the next few days. One of the images used on these note cards is shown here. We will also have a number of more generic notecards available, probably directly from us. The standard note cards are about 4 1/2 inches by 5 13/16 inches. Some are vertical and some are horizontal. The inside of the cards are typically blank but a custom message can be added. We also plan to have available larger cards (5 1/2 inches by 7 1/8 inches). A sample image from the generic note cards is shown here. Other samples can be seen by clicking on “Card Art” and selecting a category on my homepage. Images can be stock images from our files or we can, for an extra fee, provide custom images of your choice. If you are interested in our cards, feel free to leave a message with your email address and we will contact you. Hope everyone has a fun and safe weekend celebrating our nation’s independence. Probably won’t be adding more posts until early next week (photographing fireworks displays at least two of the next three nights and a parade tomorrow – busy weekend).